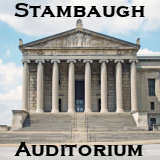 Here you will find past announcements and information as it was posted on the Stambaugh Chorus website. We are a very busy group of dedicated volunteers. Stephen Caracciola, Lo, How a Rose E’er Blooming, Praetorius/Overby, Gloria, Antonio Vivaldi, Deck the Nutcracker Hall, arr. Greg Gilpin, Mid-winter, Bob Chilcott, Breath of Heaven arr. 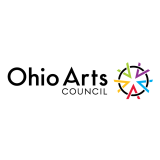 Craig Courtney, Gifts of Love, Marcus/Jennings, Hallelujah Chorus from Messiah, G.F. Handel. Soloists included Leigh Altier, Alice Birch, Karen Barr-Cisine, Stephanie Champion, Rosemary Minghetti, Peg Roberts, Maureen Young. 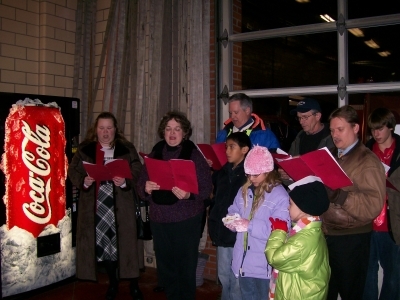 We were invited again to join in the Holiday Celebration at the Wickcliffe Fire Station. It was a joy to see all the children enjoy our carols and gobble cookies while waiting to tell Santa what to bring. Several Choristers presented a display and offered Concert raffle tickets at the Liberty Band Craft Show. Membership and Upcoming Events were promoted. We also held a small bake sale with baked goods provided by our membership.